Occasionally a friend of our will go out of town and empty out their fridge in our direction. Close friends of mine know that I will make something of nothing. That lonely sweet potato, I’ll throw it into this sausage and potato soup, and a random tomato always has a future in this roasted vegetable tomato sauce. About this time last year, my friend Christie left for a trip and had just one green apple and fennel bulb left in her fridge. She handed them to me, entrusting to me the random produce, and also gave me a beloved recipe for the pair. 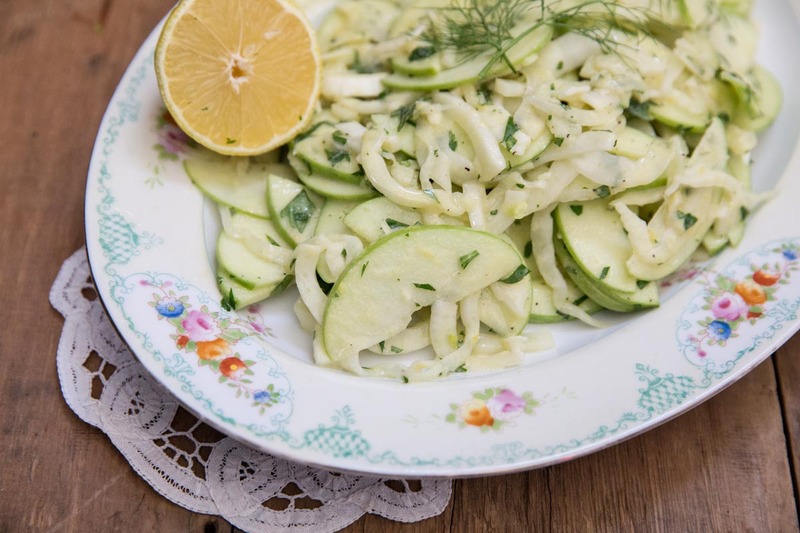 This recipe for Apple Fennel Salad is Christie’s recipe and one I loved since that first time making it. It’s simple, yet packed with flavor and a crisp fresh texture. 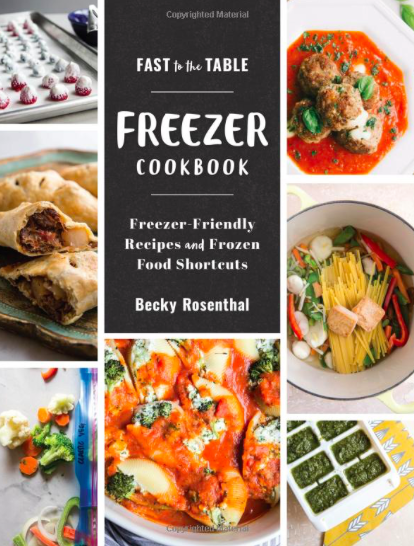 But what I love the most about this recipe is how Christie shared it with me, not wasting the stragglers in her fridge and even giving me ideas for their uses. Though I usually find ways to empty out our fridge into some random meal before we leave for a trip, occasionally I too have a few items that don’t get used in time. Now, I hand them to a friend with a idea for a new recipe and remember what a treasure I received from Christie with her apple and fennel gift. 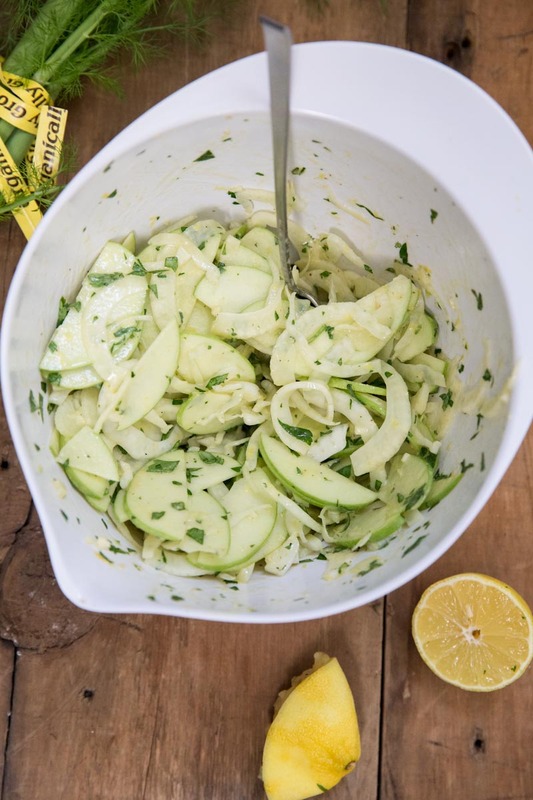 A fresh and crisp winter salad with green apple and fennel dressed with a simple lemon dijon vinaigrette. Slice the fennel bulb in half and remove the bitter center. 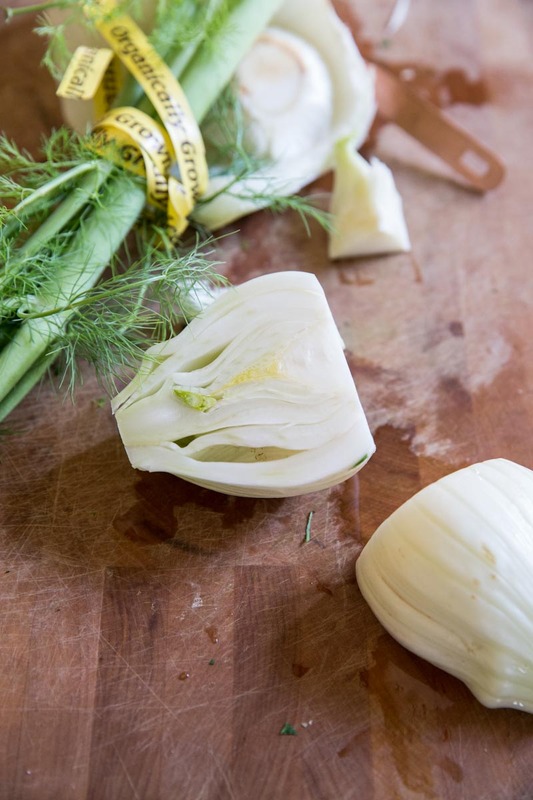 Then lay the bulb flat on a cutting board and thinly slice from the base toward the stem of the fennel. 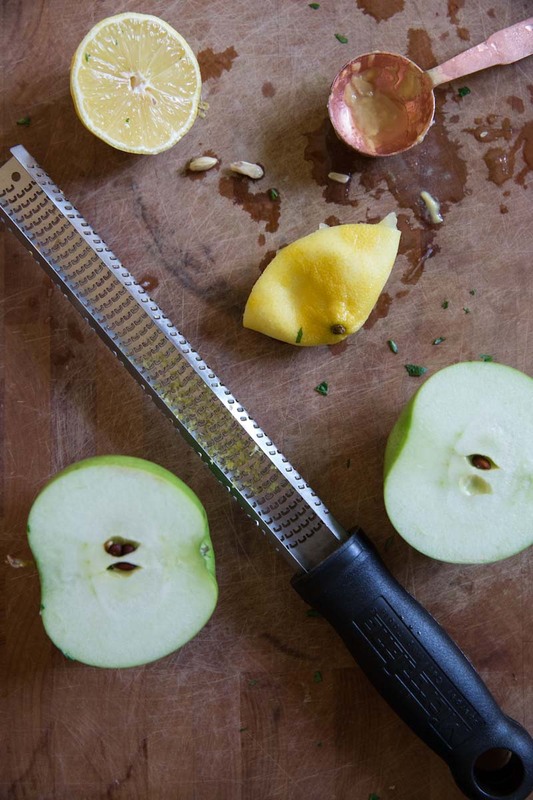 Thinly slice the apple. 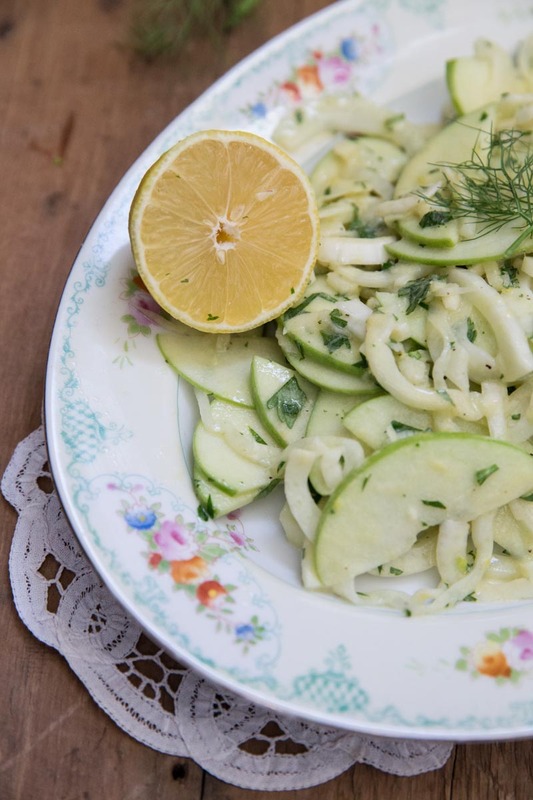 Combine fennel and apple in medium bowl. 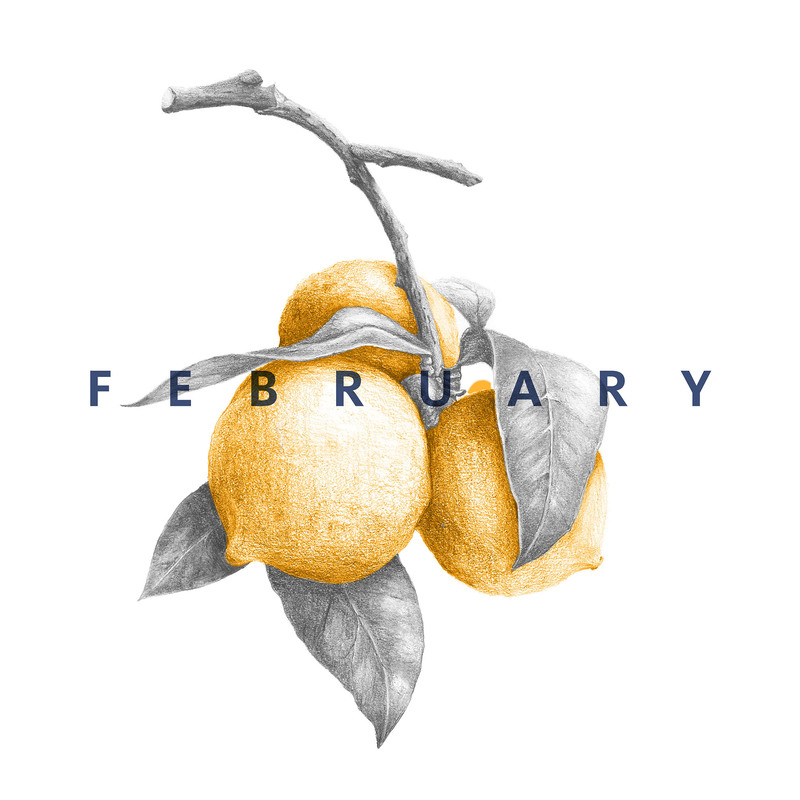 Whisk together lemon juice, oil, mustard, honey, garlic, salt and pepper, in a small bowl. Pour dressing over apple/fennel mixture; add parsley and lemon zest, toss until well blended. Cover and refrigerate 1 hour before serving.